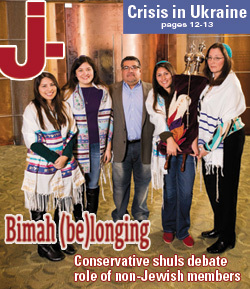 Flying rabbi bridges gap for young Conservative Jews – J. Every synagogue wants them, and few have figured out how to get them in the door: that elusive demographic that is post-college, but pre-kids. The liberal denominations in particular have been scratching their heads for years, trying to bridge that gap so young adults who grew up in their movements don’t drift away permanently. For the Conservative movement, which studies show is in the most precipitous decline, it’s a matter of pressing import. “What we know about this young adult population is that it’s a very transient, nomadic stage of life that is lasting longer today than it ever has,” said Rabbi Josh Rabin of the United Synagogue of Conservative Judaism. 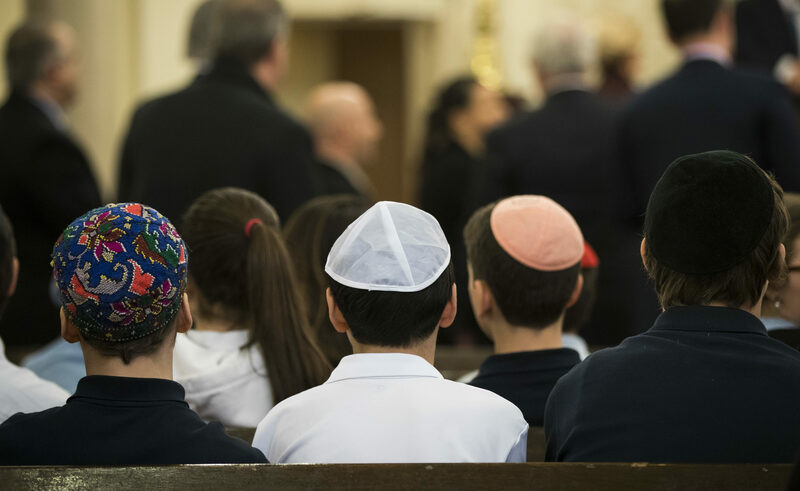 According to the 2013 Pew Research Center study of American Jewry, the number of self-identified Conservative Jews who belong to a synagogue had fallen about 21 percent since 1990 — from 723,000 to 570,000. 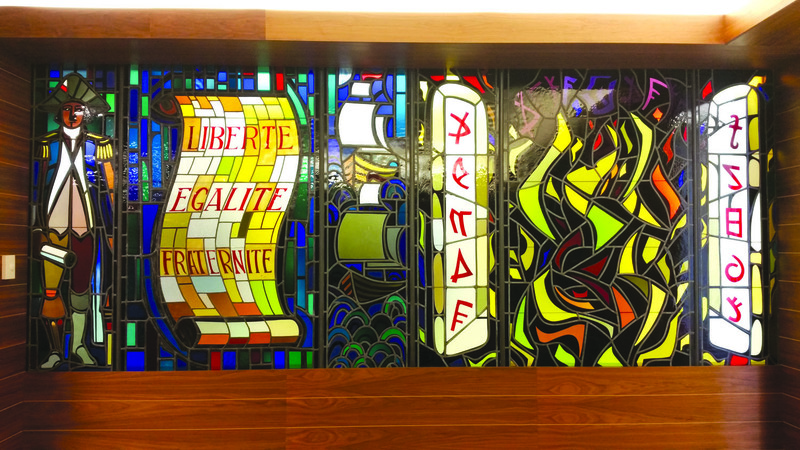 Yet alumni of the movement’s Ramah camps and Solomon Schechter schools typically point to those experiences as a key influence in their later Jewish lives. That’s what newly ordained Rabbi Daniel Novick has been trying to figure out in the Bay Area. For the past two years, during his rabbinical training at the Conservative movement’s Jewish Theological Seminary in New York, he’s been flying cross-country just about every month to connect with those young alumni and help them find their way back, if not necessarily to the Conservative fold, at least to Jewish practice. Novick stayed in hotels or Airbnbs. He didn’t hold services, and in fact tried to avoid hosting Shabbat meals at his place. Instead, working through personal introductions and coffee “dates,” he would get invited to Shabbat meals hosted by other young Jews. That style of outreach developed organically. It was a real experiment, says Rabin, who oversaw the project from his perch as head of the United Synagogue’s “Innovation Lab.” And the Bay Area was chosen for this first iteration because of the large number of young Jewish adults living here, the relatively low affiliation rate, and perhaps most important, the fact that two United Synagogue board members instrumental in funding the project live on the Peninsula. At first glance, one might ask, why fly in a rabbinical student from New York to do this outreach? Don’t we have enough local rabbis? Yes and no, say project organizers. They felt strongly that someone close in age to the target population would be the most successful. And, Rabin says in all frankness, Novick was the candidate who stepped forward. Still, even before he started working, Novick reached out to local Conservative rabbis to “pick their brains,” he says, and make sure he wasn’t stepping on any toes. One was Beth David’s Rabbi Philip Ohriner, who said he wasn’t miffed at all. 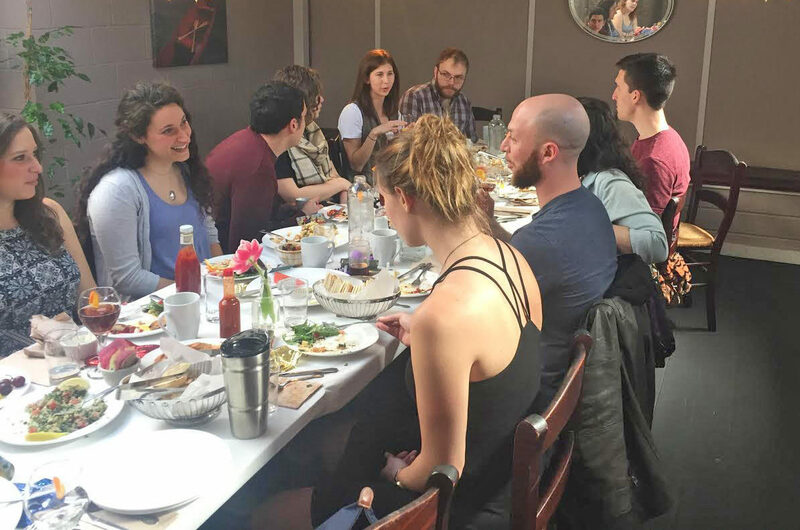 “Any opportunity that presents itself to create meaningful Jewish experience is worth exploring,” he told J.
Robyn Monroe, a 27-year-old MBA student at UC Berkeley, was introduced to Novick through a mutual friend. 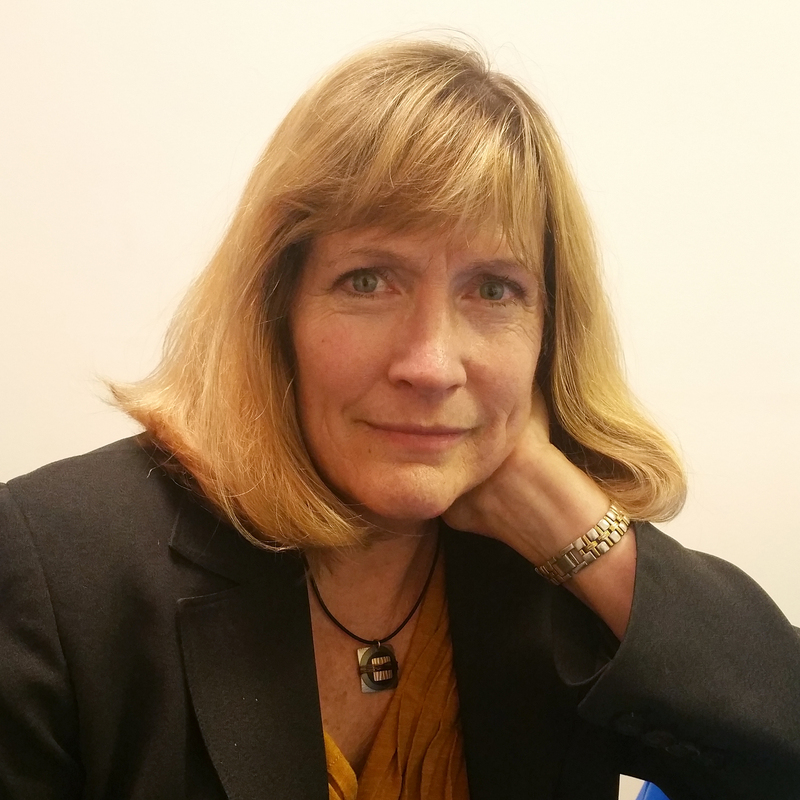 She grew up Reform in Orange County, wasn’t active in college, and then started looking for Jewish connections when she moved to the Bay Area in 2013. “I wanted a youth-oriented movement or organization that wouldn’t be too expensive, somewhere I could meet other Jewish people,” she said. Nothing clicked — until she met Novick, and he helped her plan a Shabbat dinner. Soon she started bringing in her other friends, hosting a latke party at Hanukkah and a festive meal at Purim. Novick’s final visit to the Bay Area was in early May, right before his ordination. He and his wife, also a newly minted Conservative rabbi, have taken up positions in D.C., so the future of the outreach program he pioneered is in flux. Both he and Rabin would like to see it continue, preferably with a full-time rabbi working from a permanent base here. 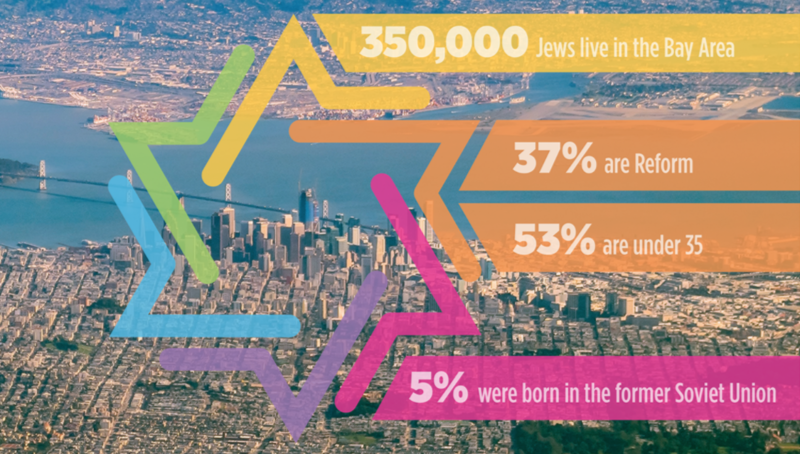 Novick figures he reached as many as 150 young Jews in the Bay Area, with 40 to 50 becoming regulars at the Shabbat meals and holiday gatherings, and he wants to make sure those connections aren’t lost. But first the results of the project need to be assessed, and more funding secured. Aaron Soskin, 26 and a regular at Novick’s gatherings, hopes this won’t be the end.